In December of 2018, Professor Helen Plotkin, a visiting assistant professor of religion, was notified that her contract of employment would not be renewed as of June 2019. Professor Plotkin has taught at Swarthmore as a visiting professor for 18 years. Plotkin has a B.A. from Swarthmore College and a M.A. from the University of Michigan. She received her rabbinic ordination and a M.A. in Hebrew Letters from Reconstructionist Rabbinical College. She teaches the courses Hebrew for Text Study and Readings in Classical Jewish Texts — both of which are housed in the Department of Religion and are cross-listed in the Department of Linguistics. Plotkin also serves as the Director of the Beit Midrash, a House of Study for Jewish texts. Plotkin was notified of the religion department’s decision to no longer host her courses in May of 2018. According to Professor Yvonne Chireau, chair of the Department of Religion, Hebrew language courses are no longer being offered for academic credit by the religion department due to a shift in the curricular focus of the department. Chireau thinks that increasing disinterest in the language courses hosted by the religion department is one of the reasons that Hebrew language courses are no longer being offered by the religion department. There are 21 students in the two courses that Plotkin teaches. Ponsa ’21, a prospective double major in Religion and German taking a directed reading with Plotkin, wanted more transparency on the status of Plotkin’s employment and Hebrew language courses at the college. After Plotkin discovered that the religion department would no longer be housing her courses, she approached both the chairs of the classics department and the linguistics department about having the classics department offer Hebrew language courses and cross-listing those courses with the linguistics department. According to Plotkin, both Classics Department chair Grace Ledbetter and Linguistics Department chair K. David Harrison offered to welcome both of Plotkin’s courses at the time. Yet over the 2018-2019 winter break, Provost Sarah Willie-LeBreton notified Plotkin that her contract for employment at the college would not be renewed and that Hebrew language courses at the college would be discontinued. However, the chairs of the classics department and linguistics department recently revealed to The Phoenix that they would in fact be endorsing Hebrew language courses. “Under the guidance of the Provost, we plan to continue supporting Hebrew, and an announcement about future course offerings will follow in due time,” Ledbetter and Harrison wrote in a joint statement in an email sent to The Phoenix on Feb. 5, 2018. According to Professor Jeremy Lefkowitz, the Classics department will continue offering Hebrew language courses after Spring 2019. The Classics department has been approved to hire a new faculty member to teach the courses. There have been no public announcements regarding Plotkin’s contract not being renewed. Visiting professors at Swarthmore are on a temporary contract and may not have their contract renewed by the college for various reasons. According to Willie-LeBreton, the tenured faculty of a department determine whether visiting faculty or assistant professors’ contracts will be renewed. Plotkin shared the news with her students that she would not be returning after the 2018-2019 school year shortly after learning that her contract had not been renewed. According to Ponsa, shortly after Plotkin had informed her students that her contract at the college had not been renewed, many students wrote to Provost Willie-LeBreton regarding the status of Plotkin’s contract. For Naomi Bronkema ’20, the news that Plotkin would not be returning came as a surprise. Bronkema, who is currently enrolled in directed reading with Plotkin and has taken Hebrew Text Study I and II, initially took Plotkin’s courses because she was interested in learning how to translate the Old Testament. Willie-LeBreton acknowledged that students taking Hebrew language courses at Swarthmore may experience interruptions in the courses that they planned on taking. 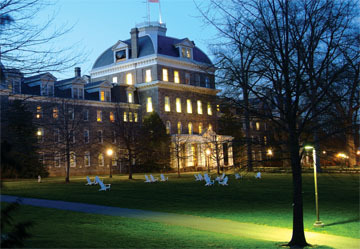 Willie-LeBreton recommended that students who anticipated taking more Hebrew language courses look at offerings at Bryn Mawr College and the University of Pennsylvania. It is currently unclear whether Hebrew language courses will be taught at the college after Spring 2019. According to Rabbi Michael Ramberg, the Jewish student advisor, the staff of the Interfaith Center offers support to any students currently experiencing Plotkin’s departure as a loss. Ramberg worked with Plotkin at The Reconstructionist Rabbinical College. When Plotkin leaves her teaching position, she will also leave behind her role as Director of the Beit Midrash. This article has been updated to correct the names of sources and reflect new information shared with the Phoenix.